The Leviticus Cardio wireless COPLANAR ENERGY TRANSFER (CET) SYSTEM. A alternative known energy transfer technique is called transcutaneous energy transfer (TET), which is capable of transferring energy from an external transmitting coil to a small receiving coil that is implanted under the skin. To be successful, the transmitter and receiver must be aligned, and the energy is transferred through the small area of skin that separates them. 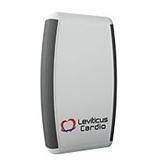 - Leviticus’s CET is a universal wireless system for ALL LVADS. - CET does not rely on the awareness of ‘patient alarms’. - Its wireless architecture is highly robust. - It requires long intervals before needing to be re-charged (up to six hours). - It has low sensitivity to device misplacement and movement within the body. 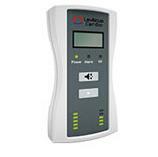 - It has a low sensitivity to metallic environments in its close proximity. - Uses inductive electro-magnetic energy transfer for fast charging. - Offers real potential for a fully implantable VAD system. - No skin friction or heating, no direct skin contact. - Operates in the same surgical field as the VAD. - Distance & Power– The CET enables a larger distance between transmitter and receiver coils, and can reach higher power levels of up to 30Watts. - Reduced complications from driveline associated infection and re-hospitalisation. - Patients will have long periods (six hours or more*) when they will be able to move around - and have freedom from external gear. next important inflection point for the VAD market. - Easy to implant and access. - The CET system can supply up to 30 Watts with a high efficiency rate (75%)t.
- CET will increase the opportunity for BTT and DT therapy adoption. commercial VADs and tested the solution in vitro and in vivo*. These tests demonstrated a reliable transfer of energy and subsequent pump operation for long periods. The company has one approved and five pending US patents, covering wireless energy transfer into the human body and its related VAD implementations. Implant Coil Ring – Receives power from the external Power Transmission Belt. It is placed around the lung and fixated to the chest wall. The coil possesses state of the art resonance structure technology and high power receiving capability. Internal Controller and Battery – controls the power receiver circuits, activates the VAD brushless DC motor, communicates with the external controller through standard MICS protocol, and controls the battery smart charging circuits. The battery provides power backup and enables several hours of operation without the external Power Transmission Belt. 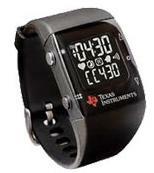 User Watch - status and alarm generation to the patient; Connects via MICS protocol to both the internal and external controllers and collects the vital statistics from them. 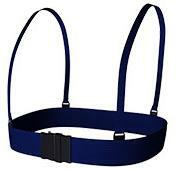 Power Transmission Belt - transmits power to the internal receiver coil via magnetic coupling. The coil is built from Litz wires with state of the art resonance structure technology and can supply up to 30 Watts at high efficiency. External Controller – runs the power transmission control algorithm, communicates via standard MICS protocol with the implant; pushes power to the belt using special power driver circuits. External Battery – main power source for generating the electromagnetic field. Similar battery to those used with current LVADs.